If you’re feeling that post-Stranger Things Season 2 letdown, have we got some good news for you. 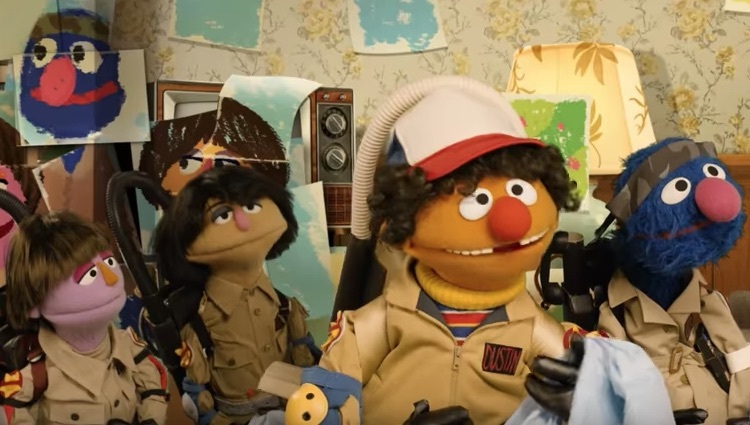 Sesame Street recently made a parody of Stranger Things, and it’s both funny and educational. Sesame Street is known for its parodies of popular TV shows. It’s previously spoofed Netflix favorites like Orange is the New Black and House of Cards. And for Stranger Things, they pulled out all the stops. The six-minute segment is aptly titled “Sharing Things.” But though the Netflix show gets an educational remix, all of our beloved characters make an appearance. Even Barb gets a cameo! In this world, she’s still alive, just bored and trapped in the upside down. Meanwhile, Cookie Monster is on the hunt for Halloween candy. Or rather, the Cookie Gorgon is on the hunt for Halloween candy. Right as he goes in for the kill on some chocolate chip cookies made by Joyce Byers, he is stopped in his tracks. Eleven is right on time with the save. Also, her muppet re-imagining is hilariously literal. In the end, the Cookie Gorgon learns how to share his treats, and all is made right in Hawkins, Indiana. Except for poor Barb, who is still stuck in the upside down. But, hey, at least the Cookie Gorgon brings her a waffle. The Sesame Street take on Stranger Things is pretty spot on, even if it is dramatically less violent. Wouldn’t it be nice if everybody in Hawkins could just get along, eat candy, and not be eaten by monsters? The muppet versions of the Stranger Things characters are just so pure. Hopefully we won’t have to wait too long for Season 3 of the non-muppet Stranger Things. "We are [in] very early days on season three and we’re still figuring it out,” series co-creator Ross Duffer told a panel during Vulture Festival LA, Deadline reports. “I probably wasn’t supposed to say that. That’s not official, that wasn’t an official announcement — we’re just working on it, just for our own amusement…for fun!" Maybe that means sooner rather than later? BRB, grabbing our Ghostbusters suits.